actual scored profile in the board. Technology Coaching has the knowledge and measuring equipment to help you solve this problem. 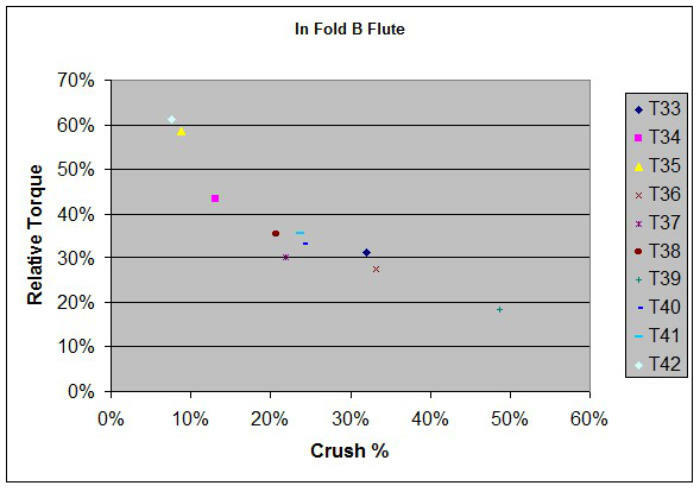 The collected data allows generating a graph showing the relation between maximum folding torque and scoring depth. (Both values are normalised values) Contact Technology Coaching if you want more information or a quotation.